Reusable RFID Token Tag is a special type of smart cards, which is with abs material,very light and easy-bring ,can be made with 125khz,13.56Mhz Chips,which is widely used in transportation areas. 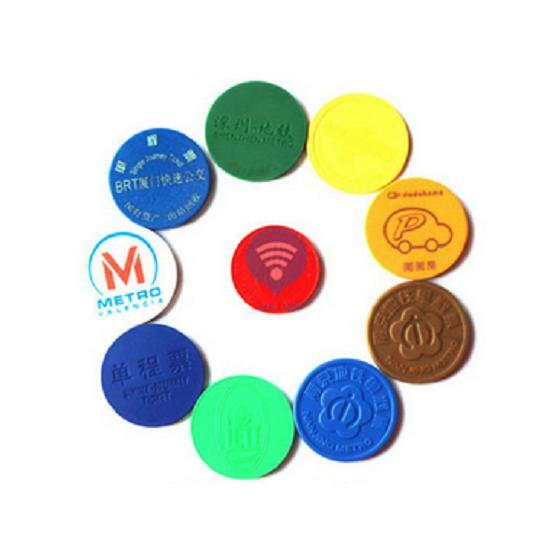 RFID metro token tags can be packaged into all kinds of goods and equipment; and used for access control systems, buses, parking lots, identify authentication, attendance management, entrance tickets,one-card payment pressure-temp and so on. 125 KHz:TK4100,TK28, EM4200,EM4100, EM4102, EM4450, EM4205,EM4305,T5577. 13.56MHz:FM11RF08, FM11RF32, TI256, TI2048, INSIDE 2K, Legic mim256, JWL872. Samples or price details,please contact Email:sales@mhgyjs.com.